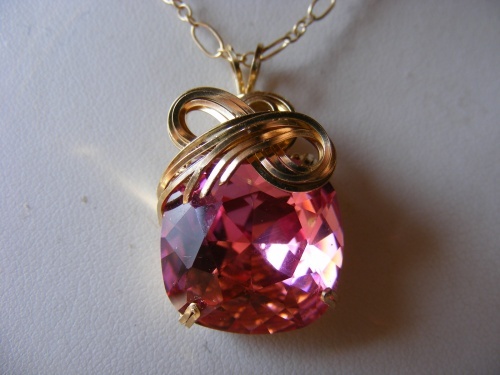 This gorgeous faceted, vintage Swarovski crystal is enhanced with swirls of 14k gold filled wire. Sculpted to bring out the beauty of this crystal. Aged circa 1950, stone measures 1 1/4" x 3/4" and, comes with an 18" gold filled chain.